Following the 2008 housing crisis, it is likely that by now most people have heard of interest only mortgages. This type of mortgage is somewhat controversial because none of your payment goes against the principal amount of your loan. This means that if you borrow $300,000 to buy a house, even after you make your monthly payment…you will still owe $300,000. You haven’t paid down the balance at all. If you have an interest only loan locked in for 1,3,5 or 7 years then you’ll still owe $300,000 after years of making payments. What’s wrong with making payments that don’t lower your principal? Most people only live in their house for 5 years or so. After making payments that include principal for even 5 full years will only reduce the principal amount by a very small amount. So, in my example above you may still owe the bank $297,000 out of the $300,000. Not worth it in my opinion. If after 5 years you sold the same house and netted (after the real estate agents ripped you off to the tune of 5% or so) $320,000 then you still walked away with a $20,000 tax free profit. So, what would have been the value of paying a much higher monthly payment just so you could pay down your loan a few thousand dollars…which you’d get back when you sold the house anyway. Most of what you’ll make on your investment you’ll make in appreciation…not principal balance reduction. So, the smart play is to get in the house for as little as you can and allow it to appreciate. And yes, your house is an investment. Never EVER get emotionally attached to your house. In fact, if you live in an area that has steady real estate appreciation the best investment you can make is to buy a fixer upper, fix it up, live in it for two years and then sell it by yourself (no real estate agents). Your profit is 100% tax free. If you never get emotionally attached to your house and you don’t mind moving every two years then you will make big bucks. So big, in fact, that after you do this 5 or 6 times you should be able to pay cash for your next house. Back to my subject, interest only mortgages. Say I borrow $300,000 interest only at 6%. Multiply $300,000 by 6% and you get $18,000. Divide that by 12 and you get $1500. That’s your monthly interest payment. That’s much less than you would pay if you had to pay principal as well. What’s the drawback? My father and I had a discussion about interest only mortgages and his argument is “you never own any part of it.” Good point…but who cares. After 5 years you’re still only going to own the toilets and maybe some of the windows. Who lives in a house for 30 years and makes their 360 payments? Even my father has refinanced his mortgage several times over the past 10 years and guess what…every time he refinances he starts over again…he still owes someone 360 payments. Some people will use an interest only mortgage to get into a house that is way too expensive and which they could have never purchased with a conventional principal and interest mortgage. 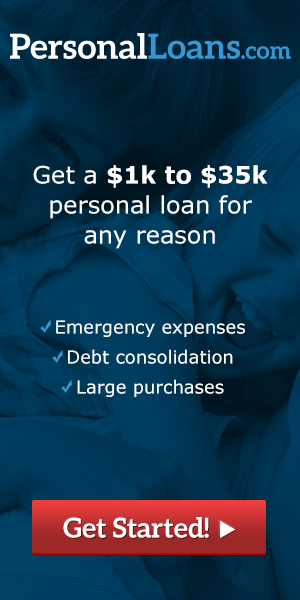 They think that just because you can qualify for $300,000 that you have to borrow $300,000. What if you lost your job or were unable to refinance the interest only mortgage and buy more years of lower payments? Eventually your interest only loan will have to be refinanced, paid in full or allowed to convert to a loan which requires principal payments. In the last case your payment will shoot through the roof and you might default on the loan…aka foreclosure. If you are disciplined enough to NOT borrow the max on an interest only loan you should be just fine.